www.versagripps.com "ABSOLUTELY THE BEST GRIP IN THE WORLD!" Recognized by Mens Fitness, Ironman and Muscle & Fitness magazines as the essential fitness product for any weight training/workout routine including power lifting, bodybuilding, Olympic weightlifting, aerobic/pilates & strength training. Versa Gripps outperforms lifting straps, weightlifting gloves, workout gloves, lifting gloves & weightlifting hooks. Essential fitness accessories for freeweights & weight lifting equipment. Why Versa Gripps Are One of the Greatest Training Innovations in the Industry! VooDoo Fit Reviews Versa Gripps! 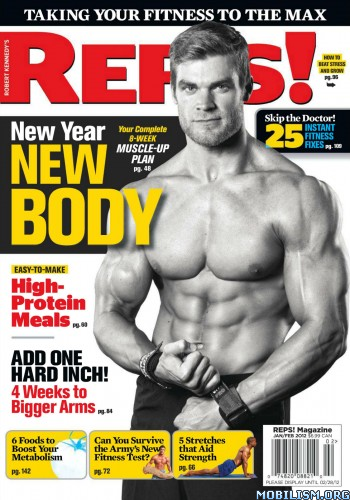 Versa Gripps Makes Reps Magazine Cover! 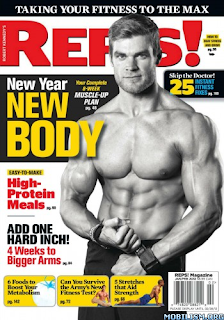 Versa Gripps is featured on the cover of January 2012 Reps Magazine, as worn by fitness model Brandon Myles White! Don't forget to pick-up your copy today! 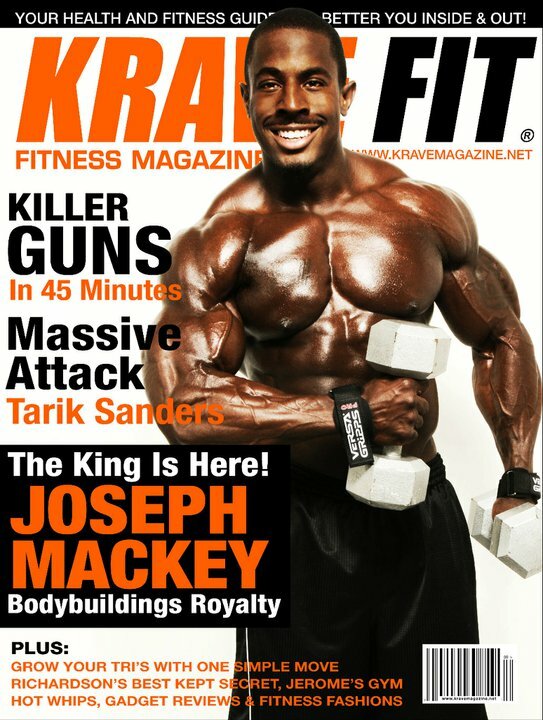 Versa Gripps Makes the Cover of Krave Fit Magazine's 06.11 Issue! I recently invested a new set of grips from Versa Gripps, the PRO series. Today was the first day I had the chance to actually use them and I gotta say I'm more than impressed! They are very high quality, can be used as a replacement to straps and also can be used for pressing movements. The grips are very easy to use and unlike straps can be left on and not get in the way, even when they are not needed. This makes it easy to move from exercise with ease and not have to worry about taking them off between sets. I purchased them directly from the Versa Gripps website and they arrived to my house in just 4 days. They are at the higher end for price, about $55.00 to the door, but I really feel that after using them today they are going to be worth every penny. Overall, if you don't mind the price I highly recommend them. Versa Gripps are made of an anti-bacterial, anti-microbial material. The material is reinforced and has a tacky hold, which prevents your hands from sliding all across the bar/dumbbell. The front flap is designed to cover the width of your hand a prevent callouses, but it isn’t “callous proof”; I’ve developed one or two new ones since I’ve had these, but that isn’t an issue for me. And if you get to that point where the weight is too much to handle even with the Gripps, the nice thing is you can just let go; there is no risk of injury by having to set the bar down and unhook. I have been very satisfied with Versa Gripps for the few months that I have owned them. They did not take too long to get used to, they stay right where I hook them at, and they have helped add a significant amount of weight to most of my lifts. I say most of because although they can be used for both pull and push exercises, I mostly use them for pulling exercises because that’s where I find them to be most useful. And to give you an idea of how well they work, the first time I used them I was able to put an extra 30 pounds on my deadlift. Joel Stubbs will be at the Versa Gripps Booth #415 at The Arnold Classic expo this Friday (1:00-2:00), Saturday (3:00-4:00) and Sunday (1:30-2:30). Stop by and meet him! Versa Gripps Makes The List! 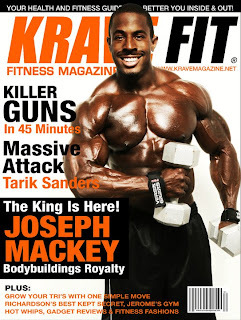 Musclemag's December 2010 issue has just published their WISH LIST p. 196. Terrific gifts for the fitness enthusiast and those they love. No surprise there, Versa Gripps is on it!